Getting ceramic surfaces right can be one of the most frustrating aspects of the ceramic process, but it can also be one of the most rewarding once it is mastered. Here we’ve gathered a plethora of articles designed to help you learn how to master working with ceramic glazes and underglazes. From layering commercial ceramic glazes to mixing up your own custom glazes from recipes, to tips on how to apply ceramic glaze, to adding color using underglazes topped with a clear glaze, the posts in this section will be a great source of information and inspiration. And don’t forget to download your free copy of Getting the Most out of Ceramic Glazes and Underglazes: Using Commercial Ceramic Glazes and Underglazes to Achieve Color, Depth, and Complexity, a perfect resource for potters and ceramic artists who are ready to experiment with commercial ceramic glazes and underglazes or mix up their own custom materials. The subject of ceramic glazes is vast, but you’ve come to the right place to get practical techniques and begin your exploration. You’ll learn about ceramic glaze ingredients and how to use ceramic glaze additives to improve the brushability of your glaze. If mixing glazes is not your thing, you’ll learn how to make the most of commercial glazes, which have tremendous versatility and potential. There is something for everyone in these archives! So start exploring today and discover the potential with these techniques and processes! 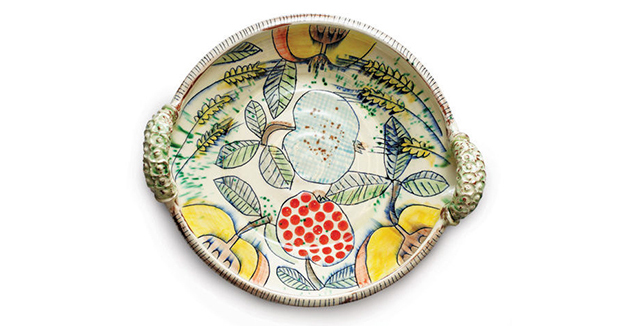 If you’re wondering, “just what is underglaze anyway?”, you’ll find the answers here. Underglazes, or engobes, are colored slips formulated to have low drying shrinkage, allowing application to bone-dry or bisque-fired surfaces before glazing. Because of their wide palette of color options, underglazes are very popular with many potters and ceramic artists and there are a ton of fun things to do with them! You’ll find everything here from underglaze recipes to underglaze techniques like screen printing and stenciling.